Balance your way to a different work day. Give your routine a break. Our UPis1 sets your daily tasks into motion. 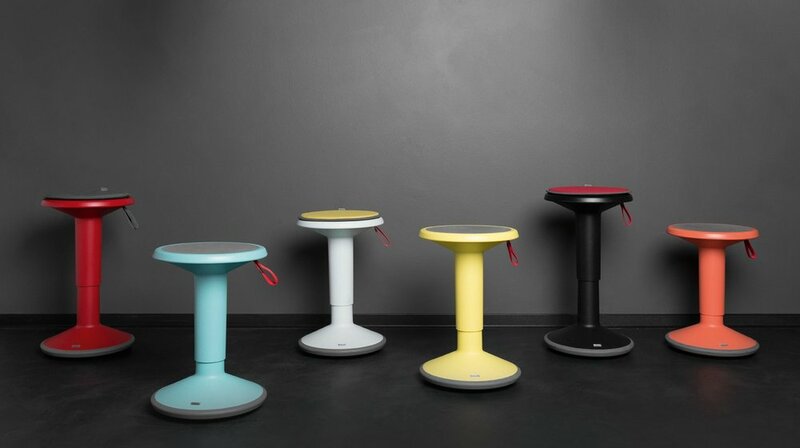 This intelligent multifunctional stool follows its owner through spontaneous conversations, workshops, meetings and brain storming sessions, keeping the user mobile and the agenda flexible. As an active alternative to the task chair, UPis1 brings an exciting change to conventional sitting. Awaken the kid inside your work.